Now that the concept of "Big Data" is one of the predominant trends in the application of digital technologies in many different sectors, and with recent news such as the launching of MIT's "Laboratory for Social Machines", financially and logistically supported by Twitter, it seems like a good moment to deal with the concept of "Semantic Web" (which encompasses some of the techniques used in the world of "Big Data") and to present some of the fundamentals of this proposal. The adoption and massive use of services via web implies that all contributions present in the Web come from different kinds of sources, following an "open community" approach where anyone can contribute and anyone can access those contributions. Due to the diversity of origin and quality of these "information pieces", if we want to make use of them jointly there is a need for some mechanism that allow us to access that information taking advantage of its interconnectability and avoiding inconsistencies, in order to use all those resources in a smarter way and to avoid non-automated, high costly work. The idea of the Semantic Web was born as a solution proposal for that need. 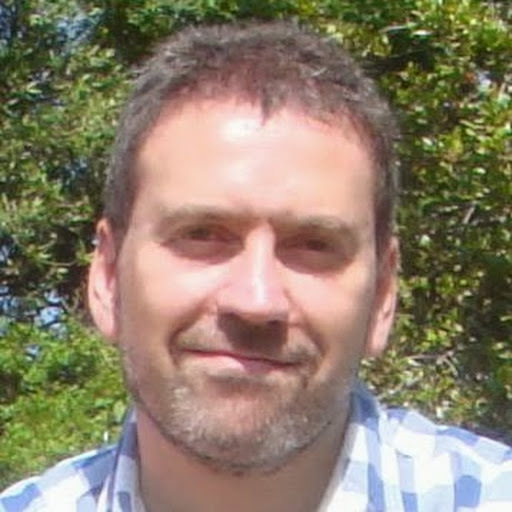 This proposal's approach is not to restructure the Web to make it "smarter", but to complement the already existing Web infrastructure with the necessary elements to improve the way information is represented (looking for an aditional layer of consistency and data interrelationship), so that we can build "smart" applications that take the maximum possible advantage of that improved infrastructure. In other words, the Semantic Web approach does not aim at a centralized management of how data should be stored (something that would go against the Web's distributed structure). Its intention is to keep the key element of contributions coming from different sources, but with an aditional infraestructure allowing contributions (their data) to be combined among them. The key for this improvement is to represent data in a way that, as well as enabling their use by people (which is the traditional approach in Web contents, designed to present interlinked, human-readable documents), states explicitly the features in those data that make them "machine-usable", describing different entities and their relationships, identifying each resource with URIs. 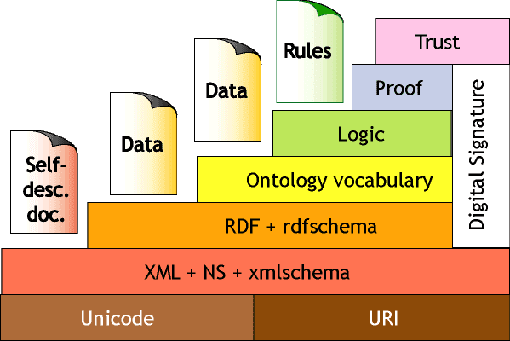 Parting from this basic idea, several standards were defined (RDF, RDFS, OWL, ...) for the Semantic Web, implementing tools to represent those resources so that applications can make and automated use of them in an interconnected way.